The beginnings of quiet stillness and a time of wondrous change. When the trees sing out amongst the palette of moodier, gray autumnal days., their leaves changing from living green to the most vibrant of reds, burgundies, oranges & yellows. The morning is dark and the air is crisp. A long sleeve shirt, sweater, wellies and wool socks are the shells that are most comfortable for our nest-ready farmer bodies. They have been patiently awaiting this moment all season. On a crispy fall Sunday afternoon, there’s nothing better than harvesting, washing and canning. To take the whole day and spend it in the warmth of the kitchen is the epitome of the change of seasons. After months of getting our hands dirty this is where things begin to come full circle. When we are able to feed & nourish ourselves the whole year through especially in the cold, winter months. Honestly, there is nothing brighter than opening up a jar of homemade tomato sauce, with the most nutrient rich vegetables from months full of bountiful harvest. 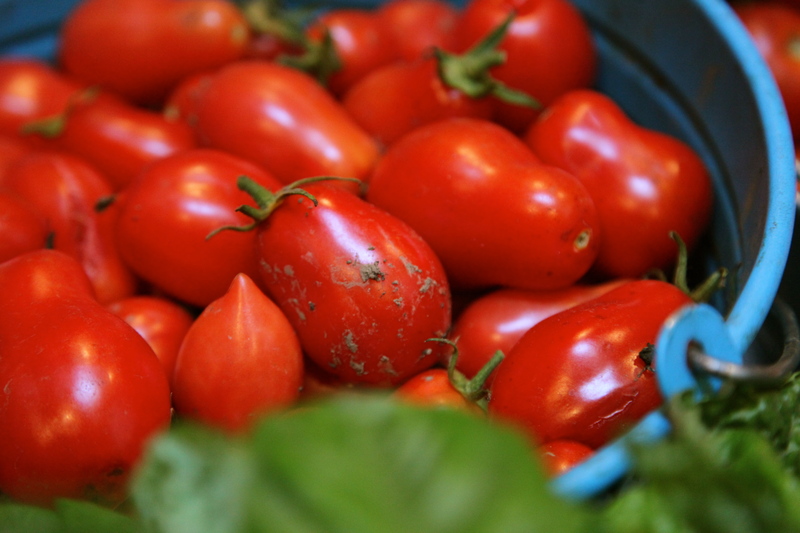 And with the beautiful weather we’ve been having in the past few weeks, we were inspired to make our winter nesting dreams come true and harvest up the last of our roma tomatoes. Pair those with some deliciously sweet carrots, peppers, onions, garlic, some zucchini & fresh herbs et voila, c’est magnifique! The most delicious homemade tomato sauce. 1. Just do it! If canning is something that seems interesting to you, or something that you’ve always wanted to try, it’s all about just getting started. The hardest part is always getting your foot out the front door but honestly, most people are pleasantly surprised by how easy canning actually is. 1. To peel or not to peel? 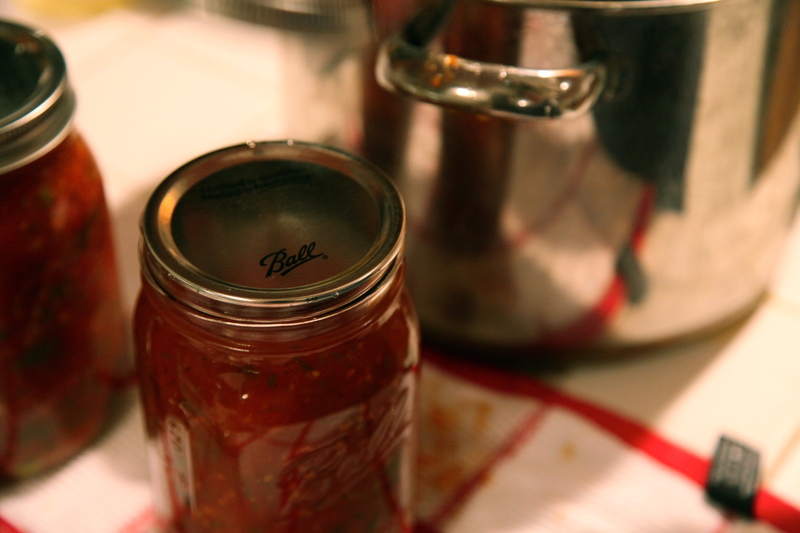 Every canning recipe on the ol’ internet will tell you time and time again to peel your tomatoes. Heck, I grew up helping my mom freeze tomatoes in bags and watch in awe as those skins would peel back when they hit that hot water, but I have a hard time doing that now. I know all the nutrients that the fruit provides to us in it’s skin and I can’t just let those go. So, the heck with it. After washing and halving all the tomatoes we just threw them all into big saucepans and let them cook down on their own. Skins and all. The other way (to do it in large batches) would be to throw a bunch in your vitamix or food processor whole and puree them that way before throwing them into the big saucepan. The color changes but they it’s turns to red again once heated.. skins and all and you won’t even know it! 2. Before you starting canning, do yourself a favor and head out to your local hardware store to pick up a few canning essentials. 3. JAM. If you’re feeling more inspired by berries & are in need of a pick me up, check out my recipe for Jam! 4. No need to go to the store. 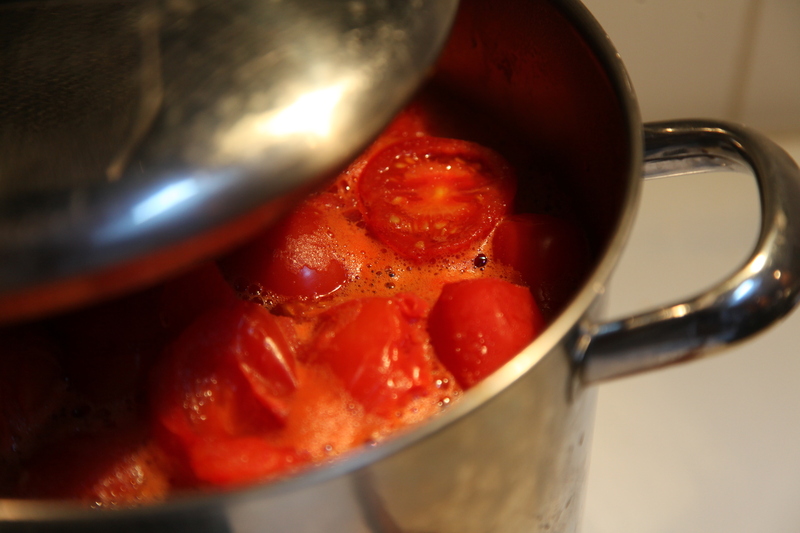 Have you ever tried making your own ketchup before? Or how about some tomato jam? Honestly, there is no comparison & your taste buds will thank you. With that said… it’s time to get saucy! 1. Wash and halve all your tomatoes (or you can throw them in whole) and through them into a big sauce pan on medium-high heat. Cover let them boil down (and watch the magic happen). 2. 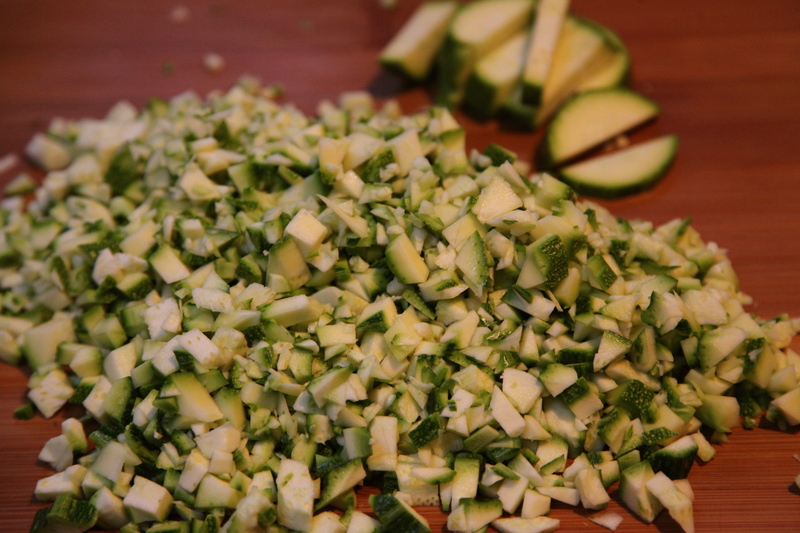 Cut up all your veggies. Saute your onions & garlic in olive oil and keep them waiting in the wings until the tomatoes cook down. 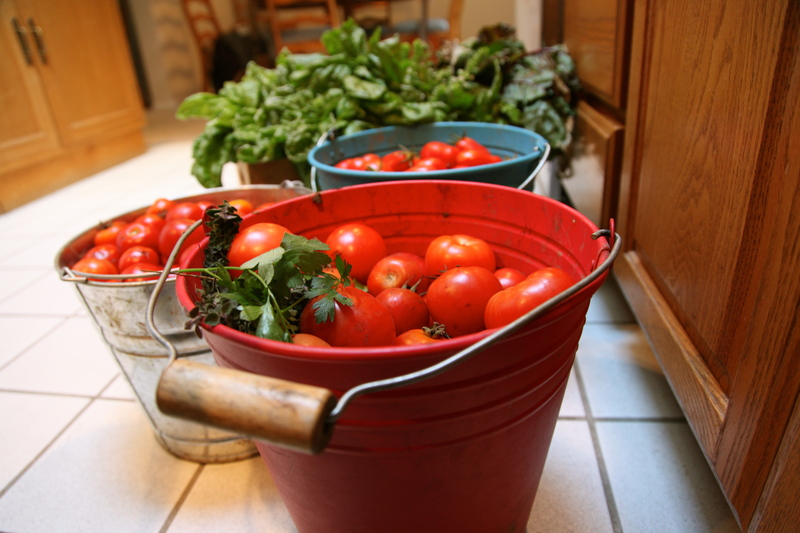 To encourage your tomatoes, stir them every now and again while you’re getting everything else ready. 3. Get your water bath canner ready, you want to fill it up enough for the jars to be fully covered. 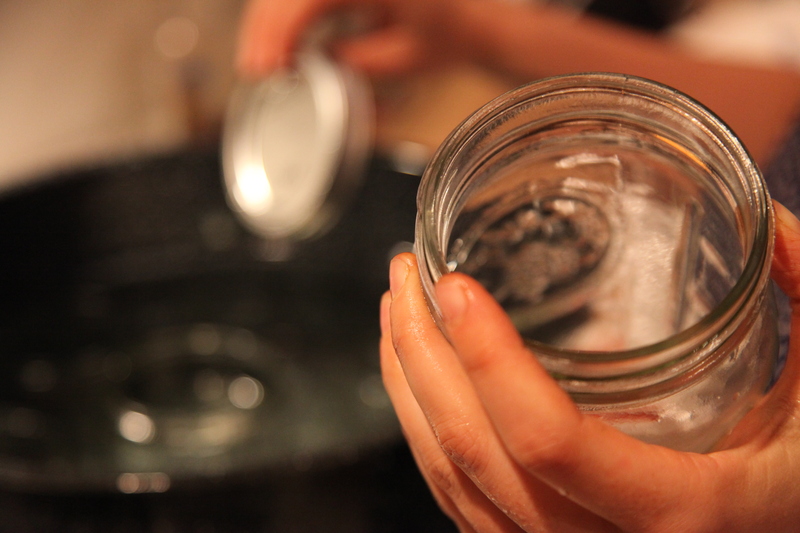 Once it’s boiling, add in all your jars & lids to sanitize them. 4. Wash and mince your fresh herbs (these will be the last things added into the sauce). 5. 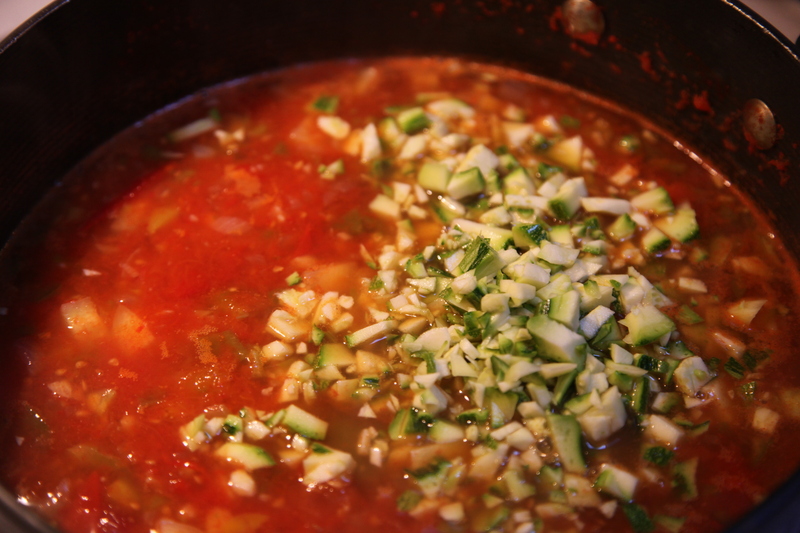 Once the tomatoes have cooked down, add your veggies and stir it all around. 6. 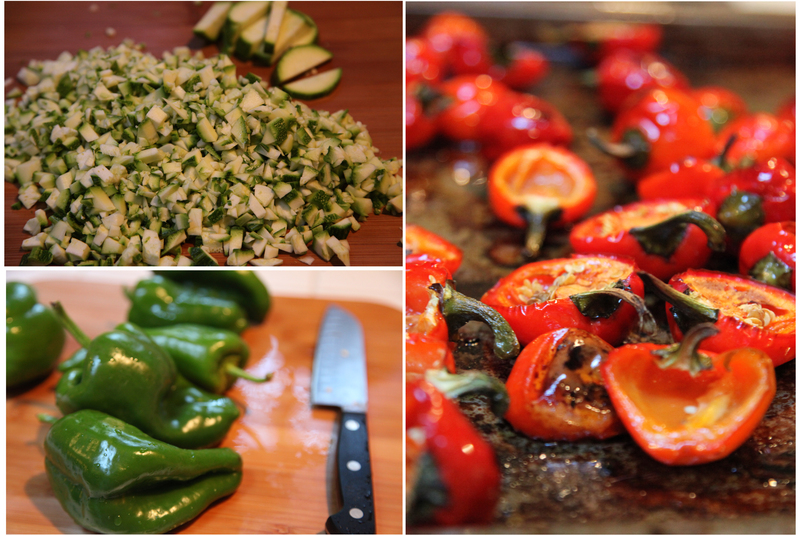 When the veggies have cooked, set the heat to low and add in your herbs, salt, pepper & spices. Give it a taste and adjust it accordingly to your palette. 1. 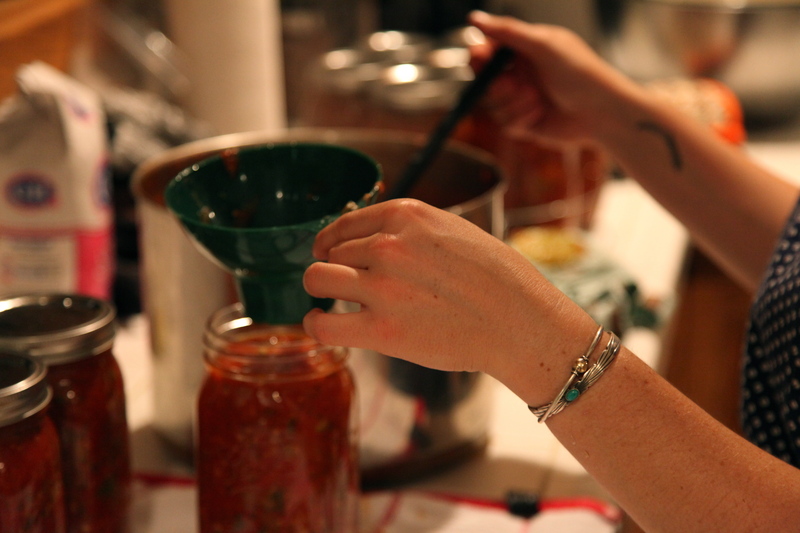 Once the jars have been sanitized (come to a boil in the canner) & the sauce is to your liking, you are ready to can. 2. 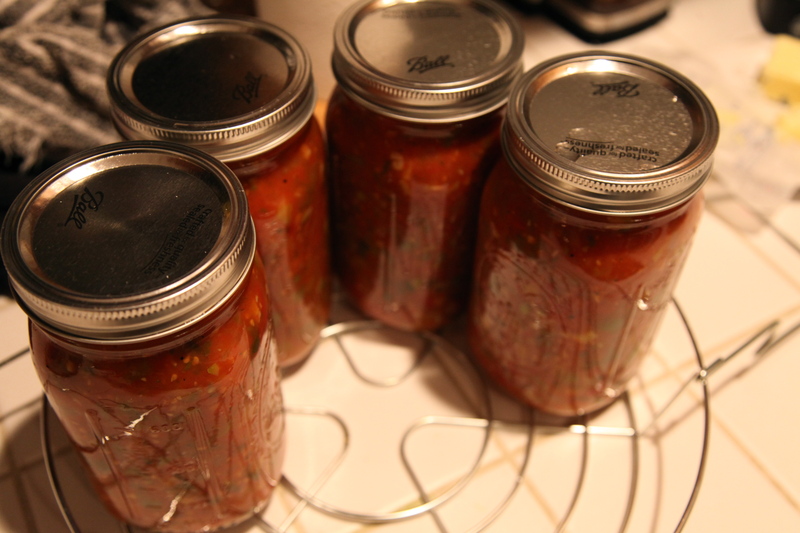 You will want to remove 1-2 jars at a time to keep everything at a warm temperature. Get your tongs, funnel, and clean cloth ready. 3. Fill the jars a 1/4 of an inch from the top (for proper sealing). If you get any sauce along the rim, wipe it away with your clean cloth (any debris will prevent it from sealing). 4. Put on the lid and lightly tighten the screw top. Set aside to be put back into the water bath. Repeat until you have used up all the sauce. Any extra sauce can be put in the fridge for near future use. 5. Back into the canning rack and into the boiling water bath they go, for about 10-15 minutes. When you take them out they should start ‘popping.’ The button on top should be sealed down. If a few have not sealed, simply just put them back into the water bath for additional 5-10 minutes. 6. Arrange them beautifully on a shelf where you can get inspired and feel proud about what you’ve just accomplished!